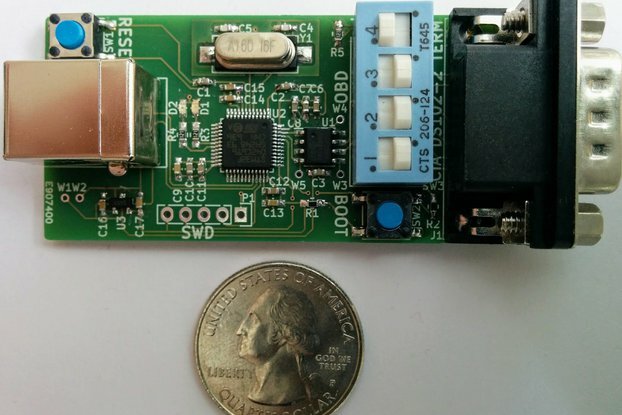 The original, smallest Arduino UNO clone. 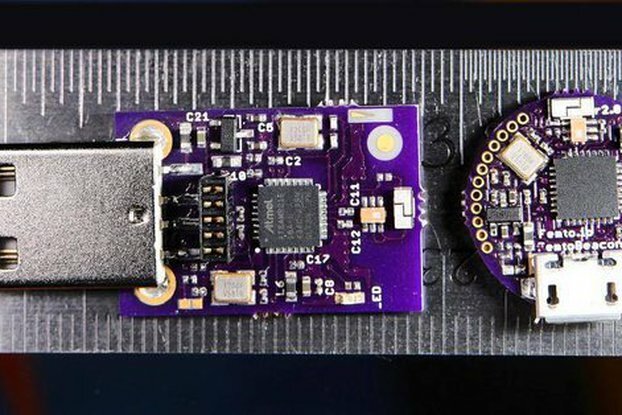 The smallest arduino compatible clone, femtoduino! It has the same pin count and power of an Arduino Uno, but with the smallest footprint possible. If your sketch works on an Arduino UNO, it will work on the Femtoduino. There is no USB on the original model, but you can upload sketches using an FTDI adapter connected to the RX, TX, VIN and GND pins. This board is great for really tiny projects where a larger Arduino UNO simply will not fit. Hook these up to a WiFi break out board, a Bluetooth module, or anything else you normally connect to an Arduino UNO. Femtoduino comes preloaded with the Arduino UNO bootloader (optiboot).